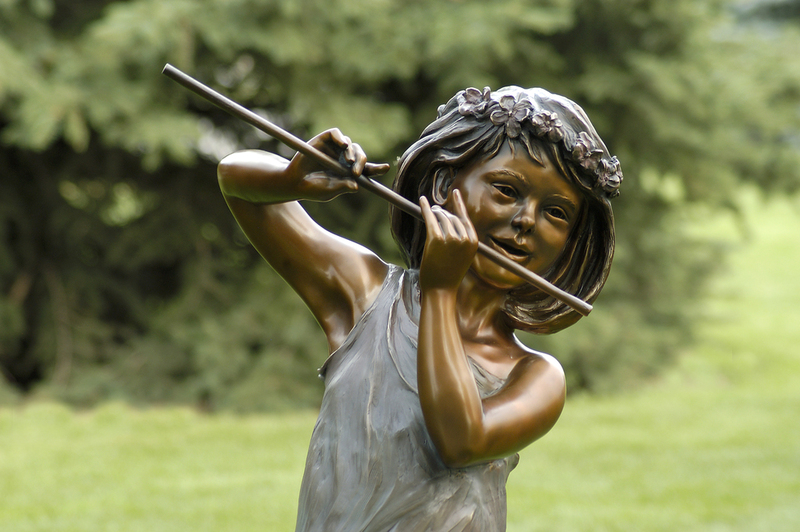 A young girl is dancing to the music of her flute. It is also available in 16” size. 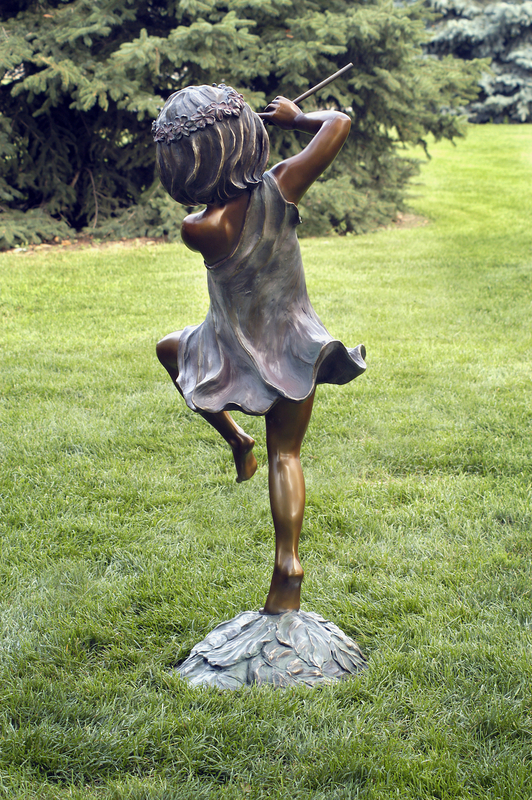 This is also available in a 16” size. 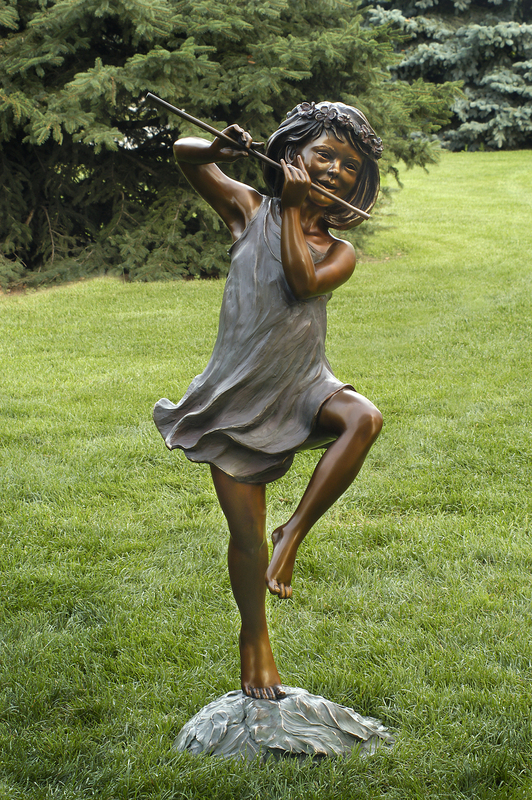 This statue would be appropriate for gardens, music schools, and private homes.